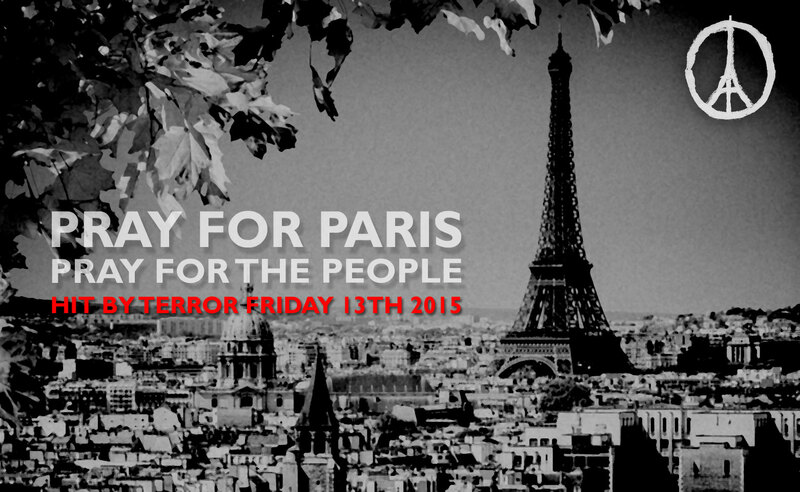 Yesterdays terror took place in the lovely, fantastic city of Paris. A place many of us have been to, more than once. We have walked its streets, been a part of its pulsating life, experienced the culture and history. Then shock and terror, obviously planned and thoughtfully orchestrated. Yesterdays attack also hit the hearts of millions of people all over the world. It was an attack on mankind, on humanity, against democracy. It was and is another horrific proof of the capacity for evil that lurks in the human mind. It was an attack on all of us who love and cherish freedom, whether of speech, of religion or ideological belief. It was an attack on all of us who willingly defend the rights of everyone to peacefully express their opinions. I am appalled, we are many who are appalled, we are many who struggle to digest the news, scenes, the written words, the videos and recordings from the minutes and hours of utter horror. As the news flashed across screens last night before going to bed I simply could not believe what I was seeing. What goes on in the mind of people who has the capacity for blind violence like this? How can it be that an ideology, or religion, to such an unimaginable extent can twist people minds to become cold blooded murders? Aim and shoot at random, at innocent people? Who in their right mind, regardless of religion, belief or ideology, can believe that by taking lives, innocent lives, you become a martyr? Cruelty know no boundaries, these agents of evil are boundariless in their pursuits, of whatever kind they may be. I don’t hate them, although I will admit to struggle with my own thoughts. Yet today I have only room for sadness, thoughts and prayers. This entry was posted in Daily rant, this & that and tagged Life, Tragedy. Bookmark the permalink.